In the paper, he discusses Mikołaj S. Kunicki’s book entitled Between the Brown and the Red: Nationalism, Catholicism, and Communism In 20th-Century Poland – The Politics of Bolesław Piasecki (Athens, OH: Ohio University Press, 2012). Bolesław Piasecki, an iron pragmatic who began his political career as a radical nationalist, continues to fascinate his ideological foes to this day. It is quite astonishing that this admittedly second-rate politician who did not play any significant role in Polish history, has already been the subject of two quite substantial biographical publications in English. This is all the more astounding given that famous personages in the history of Poland have not attracted much interest on the part of Western historians, except perhaps for Pope John Paul II during the 1990s and Lech Wałęsa. Upon investigating the shelves of American and British book stores, it is difficult to find any books on important Poles. Piasecki, however, became the subject of an English-language biography many years before his death, i.e. Lucjan Blit’s The Eastern Pretender: The Story of Bolesław Piasecki, which was published in 1965. In 2012, another work appeared: Mikołaj Stanisław Kunicki’s Between the Brown and the Red: Nationalism, Catholicism, and Communism In 20th-Century Poland – The Politics of Bolesław Piasecki. But whereas Blit’s publication was a political pamphlet—which the author did not really disguise, nor did he deny his sharp antipathy towards Piasecki—Kunicki’s biography is presented as an objective work of scholarship. This entry was posted in Book Reviews, Poland, Polish History and tagged communism on July 8, 2014 by IWP. The Slavic Review, a peer-reviewed academic journal published by the Association of Slavic, East European, and Eurasian Studies (ASEEES), has reviewed Dr. Marek Chodakiewicz’s Intermarium: The Land between the Black and Baltic Seas (Piscataway, NJ: Transaction Publishers, 2012). The review was published in Vol. 73, No. 1 (Spring 2014) of the Slavic Review on pages 163-164. 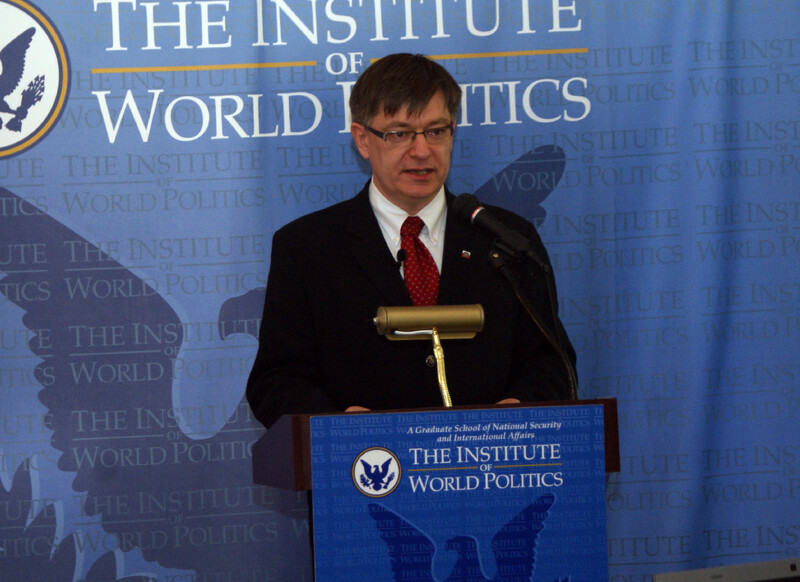 While generally critical of the book for ideological and political reasons, the reviewer recognizes that Intermarium was based on a “huge array of primary and secondary sources,” acknowledging that it “may be used in graduate seminars on the history of eastern Europe, nationalism, and the Cold War.” He also finds “convincing” Dr. Chodakiewicz’s analysis of the mechanisms of post-communist “transformation” whereby the communists reinvented themselves as social democrats, liberals, or ethno-nationalists. However, the author of the review disagrees with Dr. Chodakiewicz regarding the geostrategic intentions of post-Soviet Russia. Accordingly, he depicts one of the book’s arguments-which calls for the necessity of stronger ties between the countries of Central and Eastern Europe (i.e. 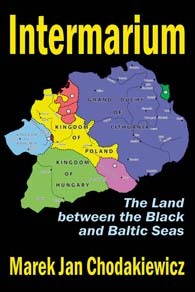 the Intermarium) and a close alliance with the United States-as a “Cold War project designed to forewarn readers of the dangers emanating from Russia” and to construct a pro-American “cordon sanitaire.” The review, downplaying the geopolitical threat from the Kremlin, was undoubtedly written before Moscow’s invasion of Ukraine and annexation of Crimea. Please click here for the website of the Slavic Review. This entry was posted in Book Reviews, Books, Intermarium, Poland on April 14, 2014 by IWP. Could America have saved Czechoslovakia from communism? Such is the question posed by Kościuszko Chair of Polish Studies researcher, Paweł Styrna, in his recent review of Igor Lukes’ On the Edge of the Cold War: American Diplomats and Spies in Postwar Prague (New York: Oxford University Press, 2012). Mr. Styrna’s review was posted on the website of the Selous Foundation for Public Policy Research (SFPPR) on 25 July 2013. This entry was posted in Book Reviews, Intermarium, News and tagged communism, Czechoslovakia, Sovietization on August 8, 2013 by IWP. The ongoing culture war in the West continues to hamper our efforts to defeat radical Islam. Such is the thesis of a recently published anthology, co-edited by Katherine C. Gorka and Patrick Sookhdeo, which was reviewed by Dr. Marek Jan Chodakiewicz for the Selous Foundation for Public Policy Research (SFPPR). Fighting the Ideological War does not limit itself to pointing out the self-inflicted obstacles to winning the ideological war with Jihadist extremism, however. Its contributors-including IWP’s Founder and President, Dr. John Lenczowski-also demonstrate how lessons learned from our victorious struggle against Communism may be applied successfully in the battle against Islamism. Katherine C. Gorka and Patrick Sookhdeo, eds., Fighting the Ideological War: Winning Strategies from Communism Islamism (McLean, VA: The Westminster Institute and Isaack Publishing, 2012). To continue reading the review, please visit the SFPPR Book Review section. This entry was posted in Book Reviews on May 2, 2013 by IWP.